I signed my first publishing contract 20 years ago. A big time American publishing house was going to put my book on bookstore shelves all across the US and they sent me a very nice cheque in advance. Then they sent me a box full of my author copies. It was real! I was a published author! My contract with the US publisher was for a 3-year term. If they wanted to go for another run after that we’d have to negotiate another contract. By the time those 3 years were up I’d decided that I wanted to go in a different direction. I thought that would be the end of the story. In 2018, fellow mystery author Gloria Ferris asked me what had happened with the book I’d sold in 1999; she wondered if any used copies were still available. I had no idea. So we Googled it. And what to our wondering eyes should appear? My book, translated into Danish and available as an e-book since 2017. A few frenzied emails later, I’d learned that the Danish publishing house had sublicensed my book from the US publisher in 2015. I immediately went on the hunt for my original contract. That proved to be a bit of a challenge. The contract was in a box in my crawlspace and ‘crawl’ really is the operative word in the storage area under my house. I made it in, only banged my head twice on the wooden joists of the floor above me, and eventually found the all-important contract. I should have stayed in the crawlspace. Cue the dialogue … the grossly paraphrased highlights of the emails that then flew back and forth between ME and THEM (the US publishing house). ME: What the hell? (written more politely) Why did you sublicense my book without telling me? THEM: We’ll get back to you “shortly”. ME: So, like, what time-frame do you think qualifies as ‘shortly’? THEM: We’ll reply as soon as possible. THEM: We already replied. Our email must have got lost or it’s gone to your spam folder. ME: Um … okay … I’ll pretend to believe that. THEM: E-book rights were covered in the contract under Subsidiary Rights. THEM: The advance money should be paid to you immediately. THEM: The advance money is for the Norwegian e-book rights. ME (after deliberately banging my head a few times on a solid surface): Denmark and Norway are different countries. The e-book was published by a Danish publishing house … in Danish … a language that’s spoken in Denmark. THEM: We didn’t send the advance money earlier because we didn’t have your forwarding address. ME: Nice try! But I haven’t moved. My address is still the same as the address that you have on file. It’s right under my signature in our contract. THEM: We need your Social Security Number. ME: I’m Canadian – I don’t have a Social Security Number. I have a Social Insurance Number and it’s on our contract, right underneath my signature and address. THEM: We don’t understand why the advance payment wasn’t already sent to you if your address is still the same. ME: Can’t help you there. Maybe because you thought I’d never find out that you sublicensed my book without telling me? Honest, I’m still at the same address – the one on our contract – the same address I’d like you to send my advance to. THEM: We’re processing your payment. ME: I hate to be a pest … but … how long does your processing payment process take? I’d kind of like the money that you were contractually obligated to send me years ago. ME: Here’s the thing … I’m Canadian. I know geography isn’t your strong suit (see above re: Denmark and Norway), but let me help you out here. I live in the big blank grey area above the weather map that you see on your morning and evening news programs. The place where every snowstorm comes from? We have Social Insurance Numbers up here, not Social Security Numbers, and you already have my number on our contract. It’s right below my signature and below my address – the address that I still live at – in Canada. THEM: We can’t access your contract. THEM: You’re Canadian? Oh. Then we don’t need your Social Security Number. ME: Well, that works out well for both of us, doesn’t it? Because, as I may have mentioned once or twice before, I don’t have one. THEM: The cheque’s in the mail. ME: And I have some oceanfront land in Saskatchewan that I can sell you at a really good price. ME: I got the cheque. 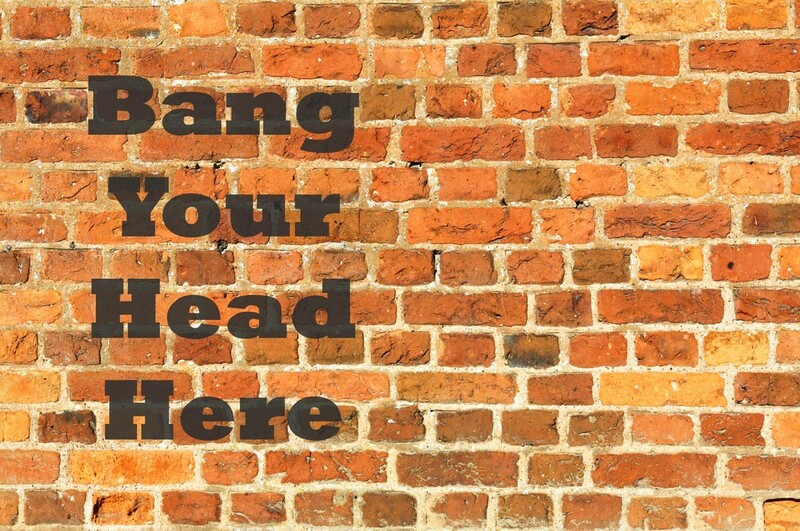 One little problem … it’s for half of what you said it would be. THEM: According to the contract your share is 50%. ME: The contract that you can’t access? The one with my address and Social Insurance Number printed right below my signature? 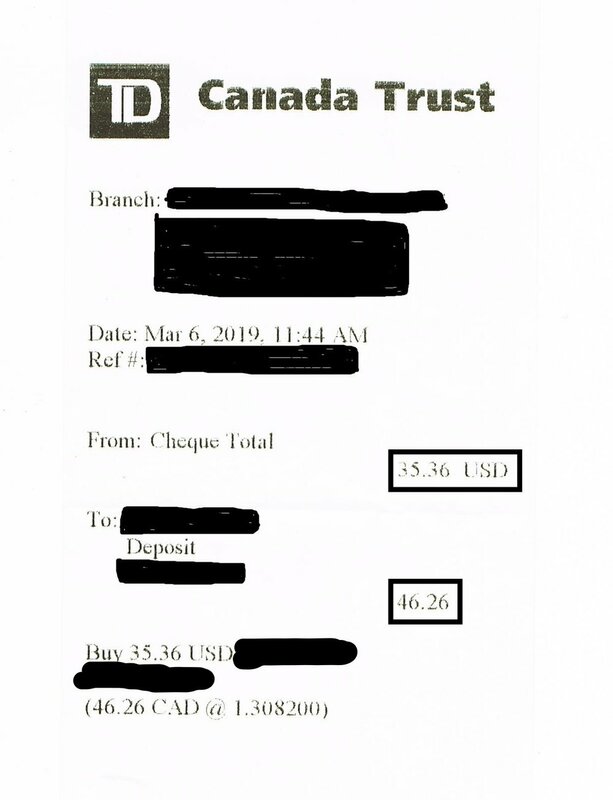 Just in case anyone’s wondering why I don’t hire a lawyer and sue the publishing house, below is the receipt I got from the bank after depositing the advance cheque. It’s truly not worth a lawsuit. And I managed to get the publishing house to put in writing that all rights to my book have reverted back to me, save the Danish e-book rights which will revert back to me at the end of that contract’s term. Who knows? Maybe the e-book will sell well in Denmark and I’ll get some royalties out of it? In the meantime, below my bank receipt you’ll see that I’ve put all of the advance money to good use. Every little bit helps – and writers need all the help they can get. The Writers’ Union of Canada cashed the cheque on March 14th.